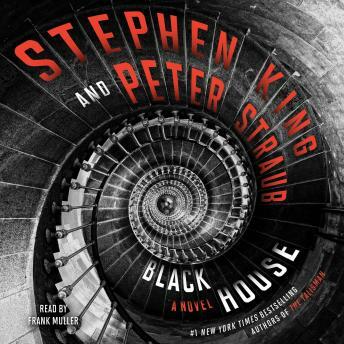 Bestselling authors Stephen King and Peter Straub's epic thriller about a small American town held in the grip of unspeakable evil is now available from Simon & Schuster Audio—completely unabridged on MP3 CD—for only $19.99! Twenty years ago, a boy named Jack Sawyer traveled to a parallel universe called the Territories to save his mother and her “Twinner” from an agonizing death that would have brought cataclysm to the other world. Now Jack is a retired Los Angeles homicide detective living in the nearly nonexistent hamlet of Tamarack, Wisconsin. He has no recollection of his adventures in the Territories, and he was compelled to leave the police force when a happenstance event threatened to awaken those long suppressed and dangerous memories. When a series of gruesome murders occur in western Wisconsin that are reminiscent of those committed several decades earlier, Jack’s buddy, the local chief of police, begs Jack to help find the killer. But are these new killings merely the work of a disturbed individual, or has a mysterious and malignant force been unleashed in this quiet town? What causes Jack’s inexplicable waking dreams—if that is what they are—of robins’ eggs and red feathers? As these cryptic messages becomes impossible to ignore, Jack is drawn back to the Territories and to his own hidden past. It was a good narrative of a Stephen King book. This is an excellent story, it was better with the awesome narration! Loved the story. Getting back to the territory’s and also bringing more of the Dark Tower into play in this book. Great book and narrating was fantastic!!! Love Stephen King, love Frank Muller - perfect marriage of author and narrator. Such a shame Frank is no longer with us but lovely visiting with old friends. Brilliant as always. Great story, but the narration really brought it to life! Awesome Stephen King! Stories were different from each other taking me some place new. Classic King! Twists and turns galore. Great read! !